Previously unreleased material from sessions at PWL and Testa Rossa Studios in Manchester dating from 1994 to 2001. Also includes live cuts and remixes from 808 Stateʼs own archive. 808 atlas logo by John Walsh. Recorded at PWL Studios Manchester July 1997 Mixed by Jason Barron and 808 State Fender Telecaster, Gibson Les Paul, Takemine Acoustic - Guitars, Fender bass Korg Prophecy, Mini Moog, Oberhiem Matrix 1000, Juno 106 Synthesizers Akai sampler, TR 909 and Quasimidi 309 drums. Recorded at Testa Rossa Studios Manchester. 2001 Mixed by Andy Drelincourt and 808 State Waldorf Microwave XT, Jupiter 8, Juno 106, Access Virus, Mini Moog, ARP Odyssey ARP 2600 Synthesizers. Akai sampler, EMU Orbit. Recorded at Testa Rossa Studios Manchester. 2001 Mixed by Andy Drelincourt and 808 State Waldorf Microwave XT, Juno 106, Access Virus, ARP Odyssey, Casio CZ101 Yamaha DX 100 Synthesizers. Akai sampler, TR 909, Quasimidi 309 Drum Machines. Redesigned by Fritz Von Runte 2011. Based on a baked tape from Vibes Studio Oldham. Engineered by Mike Haas Roland TB 303 Bassline, EM&M spectrum, Oberhiem 4 Voice, Moog Prodigy, Mini Moog & Memory Moog Synthesizers Roland TR909 Drum Machine. Large Metal Skip. Akai sampler. Desk Recording from 'On Air' Shibuya Tokyo. A three night run 28th, 29th, 30th June 1993. Recorded at Testa Rossa Studios Manchester. 2001 Mixed by Andy Drelincourt and 808 State Waldorf Microwave XT, Juno 106, Access Virus, ARP Odyssey, ARP2600, Roland SH09 Synthesizers. Akai sampler, TR 909, Quasimidi 309 Drum Machines. Recorded at Testa Rossa Studios Manchester. 2001 Mixed by Andy Drelincourt and 808 State Roland TB 303 Bassline, Emu Orbit and Vintage Keys, Waldorf Microwave XT, Roland Jupiter 8 & Mini Moog Synthesizers. Akai sampler, TR 909, Quasimidi 309 Drum Machines. Remade at S.M.M.O.K.T. 2010. Roland Juno 106, Jupiter 8, Arturia ARP 2600, Arturia Jupiter 8. Oberhiem 4 Voice, Chase BIT 99, Roland D50, Pro One, SH 101 synthesizers ESX Sampler, TR 909 drum machine. Recorded at PWL Studios Manchester July 1997. 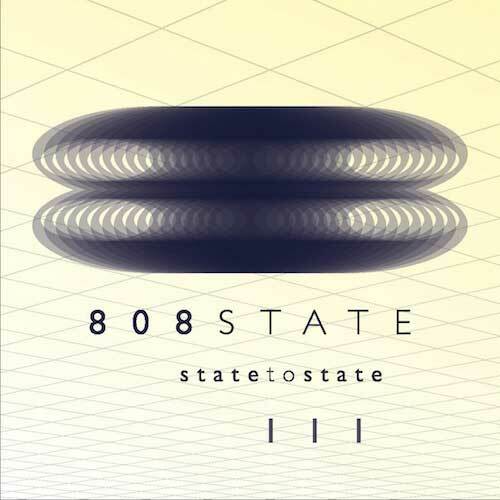 Mixed by Jason Barron and 808 State. Hohner Electra piano, Bentley Acetone organ, Yamaha CS50, Ibanez ST50 guitar, Percussion, ARP Axxe, Akai sampler. Recorded at The Woolhall Studio, Bath November 1994. Mixed by Al Stone and 808 State. Words by Edward Barton, Vocals by Mark Curtis. Roland JX8P, Jupiter 8, Juno 106, JD 800, ARP Odyssey, Denon & Roland Drum Machines, Akai sampler. Yamaha Acoustic Guitar. Recorded at Testa Rossa Studios Manchester. 2001 Mixed by Andy Drelincourt and 808 State. Roland Juno 106, SH 101, Pro One , Mini Moog, EMU Vintage Keys, Korg Prophecy Akai sampler, TR 909 Drum Machine. Recorded at PWL Studios Manchester 1999. Mixed by Jason Barron and 808 State. Korg Prophecy, JD800, Juno 106, Mini Moog, Emu Vintage Keys Akai sampler, TR 909 Drum machine.